As merchants ourselves, we understand how important it is to keep data safe and secure. Merch informer does not give away any of the designs that you discover in any hidden database. 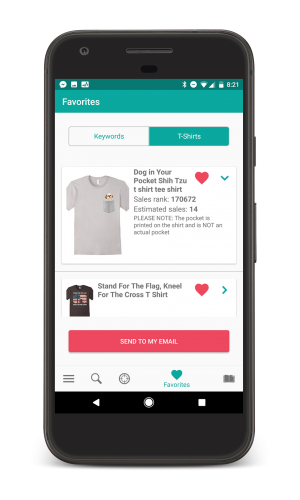 Merch Informer gives you all the niche data at your fingertips to help you make decisions. Find out what consumers want and exactly what is selling! Finding high opportunity items based on Amazon sales data has never been easier. Finding designs is the easy part. Keeping them organized can sometimes be a real struggle. Say goodbye to all your spread sheets and say hello to the sleek Merch Informer solution. Merch Informer makes you more money with a fraction of the time invested. Save your time for more important things and let us help you navigate the expanding Amazon Marketplace. 100% FREE for everyone to use, even if you are not a Merch Informer customer! 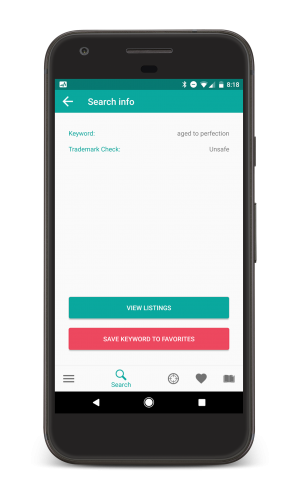 Make use of the product search to look up keywords, grab a quick trademark check, and see what items are on Amazon by browsing their catalog on the go! 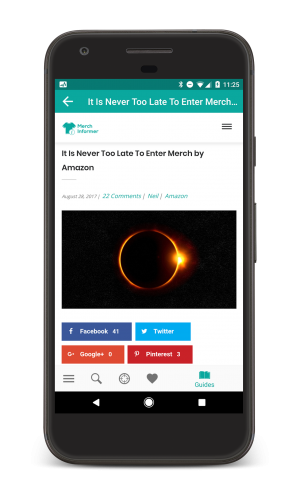 The ultimate tool for Merch by Amazon product research has now come to mobile! Explore ALL the Merch by Amazon t-shirts sorted by sales and best sellers rank with a single click. Read bullet points and add your inspiration to your favorites for later. Do not waste time with manual research. Let the mobile Merch Hunter do all the hard work for you! 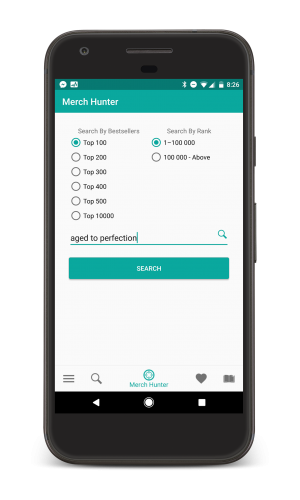 Save both your favorite keywords as well as your favorite t-shirts from the Product Search and the Merch Hunter for later! Always keep your inspiration with you for scaling up your merch business. Quickly send your favorites to your email for longer term storage or go back and visit products directly on Amazon! Never miss an in depth guide or Merch by Amazon news ever again! 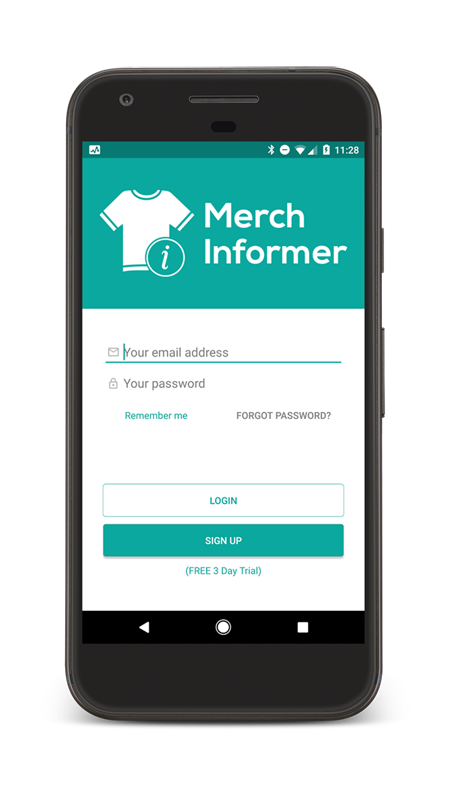 With the Merch Informer app, you will have new guides delivered straight to your mobile device so you can make sure you are are on the cutting edge of the platform at all times! Your information is safe and never shared. Product searches happen through the Amazon API so rest assured you are in good hands. Compared to old methods of doing niche Merch research, we do it lightning fast saving you time! We are so sure you will love our tool that you can try it risk free for 3 days to make sure that it is a good fit for your business. Merch Informer is incredibly easy to use. Make sure to read through the tutorials if you have any questions. If you ever have any issues getting set up, or come across something that is not working correctly, our support team will take care of you. We are sellers ourselves! In order to create the best tool possible, development is continuing forward to add more features. Get A 3 Day Free Trial Today!